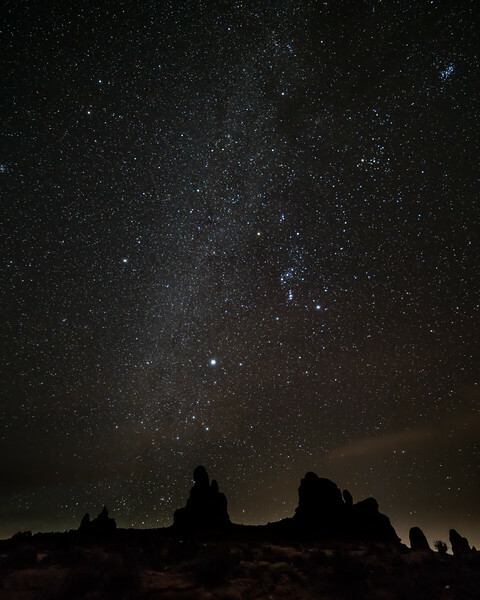 Night photography capturing natural sandstone arches at Moab, Utah and the celestial sky. 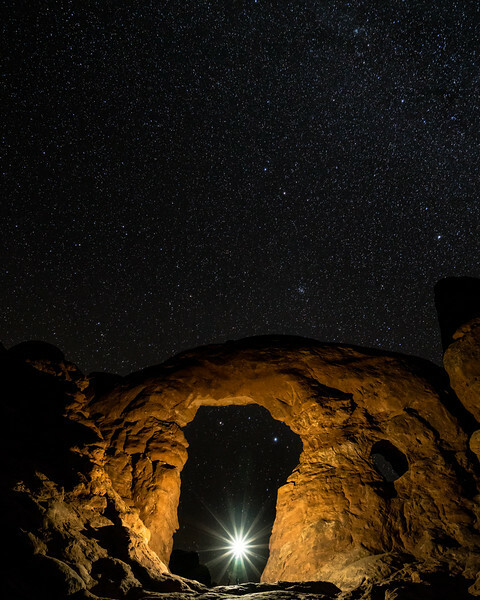 Night photography capturing our light source that looks like a star underneath an arch. 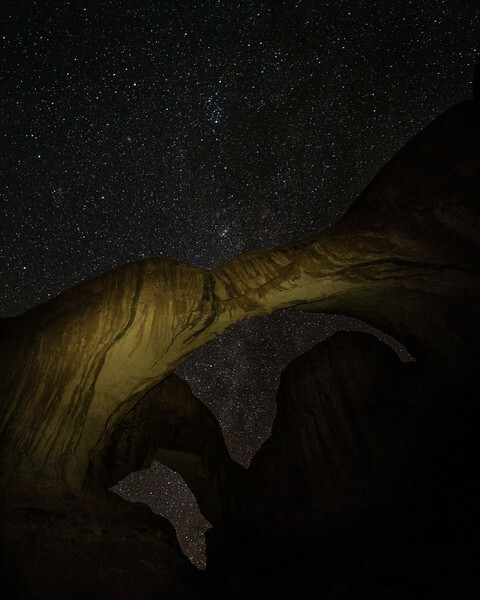 These massive sandstone arches are stunning, natural geological formations. 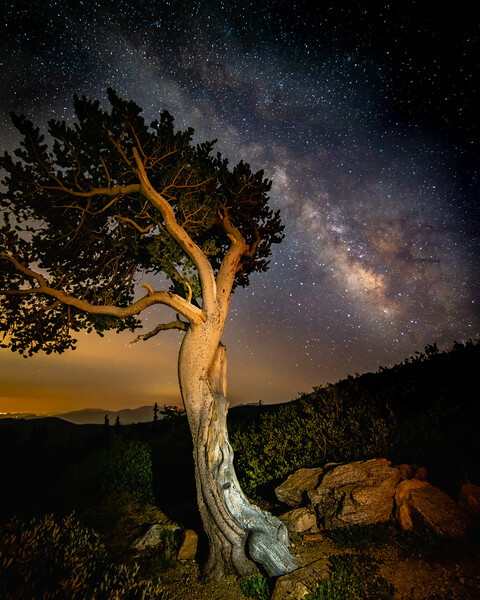 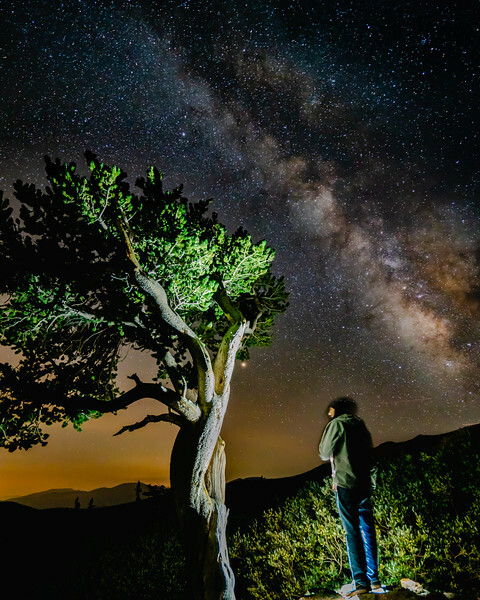 With long exposure photography you may get lucky and capture the breathtaking milky way.